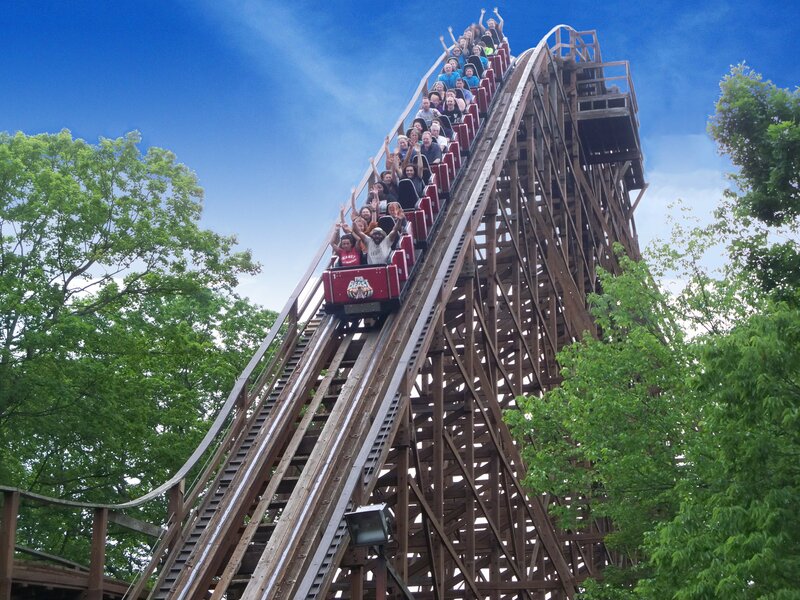 With The Beast celebrating its 40th anniversary in the 2019 season, why don't we celebrate by starting a thread to share your stories on the legendary ride! Please share your favorite Beast memories, Beast pictures, and tell us what The Beast means to you! The Beast is one of the first coaster that made me realize that I could not get enough of them. 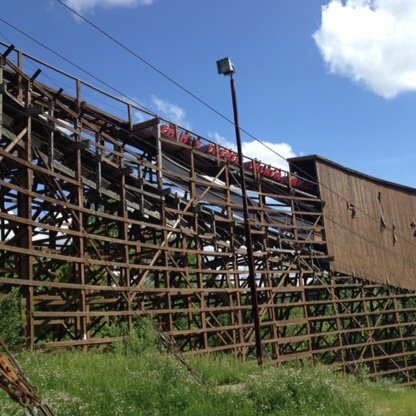 It started my love of coasters, and my quest to find that next one that could come close to the day and night time experience you can only get on The Beast. Here are a few pictures I have taken of The Beast over the last few years. I've seen a fight occur in the first switchback section which resulted in security running down one of the instigators. My 2 favorite night rides both involved a storm. One was when a storm was rolling in and you could see lightning in the distance (which adds that mysterious element to the ride's theming) and it poured rain as I was making my way back to the entrance. The 2nd was during a day when it was raining all evening, and there was just enough of a break in the rain during the ride where it stopped on the approach to the first lift and as soon as the train rolled into the final brakes, the skies opened up, and I got a rain soaked night ride to boot. The best night rides to me are either during a full moon where the tracks are soaked in white light, in the fall (I like it a little brisk), and right after it rains and the overcast is still looming. My first ride was right when I got passed the 48" mark, but I wasn't quite warmed up to coasters yet and I got scared pretty bad. My 2nd time, which was my first night ride, was the year after and just after I got my first Vortex ride (also at night, this was during a 11 pm close in the Paramount era). It felt so good to conquer that fear. As good as the helix is, my favorite section is after it blasts out of the 2nd tunnel and makes those series of drops before it pulls up to the 2nd lift. I like how it keeps accelerating while it feels like you're fighting from rolling down the valley and its a great, vicious turn with great lateral g's to line it up for the lift. I do miss the paw prints from the Eiffel Tower and the Cool Zone in the queue. Also, before they closed it for the fireworks, if you were lucky enough to get a fireworks ride, they would often stop the trains at the top of the lifts to let riders watch them. Ahh, The Beast. What a epic and legendary coaster- and yes, a very important one to me as well. I'll have to explain some backstory on that first though. In 1999, at the age of 9, I rode my first "big" coaster- Hoosier Hurricane at Indiana Beach, with my dad. I remember loving it. 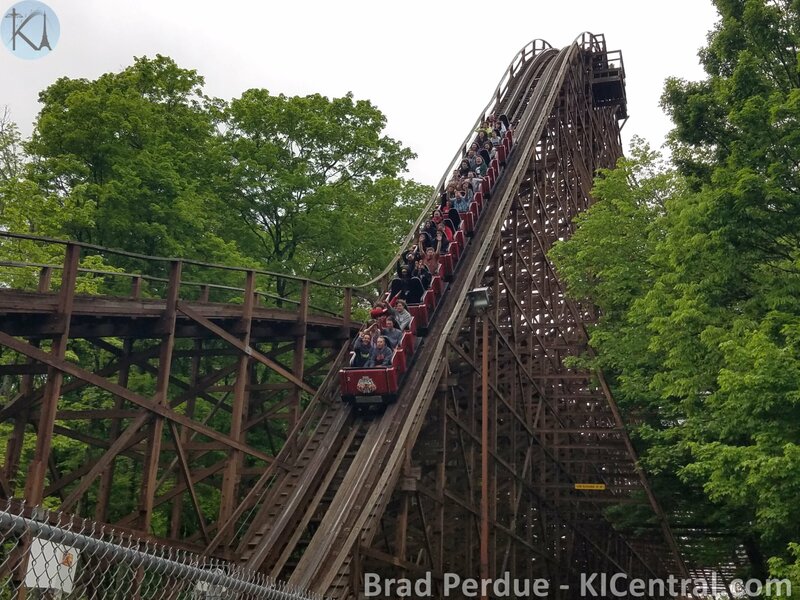 However, when we went to Paramount's Kings Island in 2000, I saw Son of Beast for the first time (which to me as a kid was immense- Hoosier Hurricane is only 77 feet tall, versus 218 for Son of Beast). I got scared just from seeing such a huge ride, and then when I got airtime for the first time on The Racer later that day (and didn't know what it was) I became even more scared. I didn't go on any other roller coasters or big rides for 9 years after that. Also I never really even saw much of The Beast on that trip, even though I did look for it- all I remember seeing was the 2nd lift, from Monster around sunset. However, there was still some interest- I recall reading magazine articles about roller coasters (I remember the 2003 Top Thrill Dragster magazine ad), and watching TV shows and documentaries about them. As I got older and bigger, I began to think "I'm older and bigger now- maybe soon I should give roller coasters a 2nd chance". Around 2007'ish, I began to wonder what Kings Island was up to- so I did some Google searching. Found out Cedar Fair bought the park, which made me think "oh cool now Kings Island is gonna get crazy good roller coasters" (I knew about Cedar Point at this point) and eventually found this site, where I became a lurker (I also found you could watch POVs of rides on Youtube at this point). My sister then went to Kings Island in 2008, and she returned having ridden most of the roller coasters. She also brought a 2008 park map (which I still have!) and spoke of the construction fence in Rivertown that would eventually lead to Diamondback. When Diamondback was announced (I learned of it via KIC) my sister decided to go back to Kings Island, and I decided it was time to return as well. I figured we could ride Beast first, because based on the POV's I had seen, I noticed it only had a few big drops and stuck low to the ground. About a week before going to KI, we went to a local carnival and rode a few rides there as warm-ups. On May 16th, 2009 we arrived at the park. We went up the Eiffel Tower first, as it was raining a bit and to get our bearings as to where everything was, as well as too see all the new stuff that had been added since 2000. Then we went on The Crypt, which I didn't know went upside down (my sister tricked me) but I ended up disappointed it was so short. Then, since we were in Rivertown anyway, we got in line for The Beast. I smacked my sister on accident with one of the que line bars, and then we waited about 15-20 minutes to get on. I remember the lap bar was tighter that I expected, and I forgot my seat belt (oops). Then we got the all clear, and I took my first ride on a large roller coaster in 10 years. The train left the station, and went around the turn. Bump, Bump, Thunk, Thunk. At this point I got a bit worried- was this gonna be painfully rough? Because those thunks at low speed seemed like they'd be much worse once the ride got to full speed. I looked over to my Mom as we climbed the lift (she was riding with me) and I joked "Look mah, we are higher than da treez" to relieve tension. Then we reached the top of the first lift, and I saw that legendary visual. "Oh THAT is where this picture came from...wait...uh-oh!" The train dropped into the tiny tunnel and roared through it, into the hard left turn. Up, over the hill and into the ravine (no airtime though). Right turn, into the brake shed. At this point I realized "I AM STILL ALIVE SOMEHOW!" and we turned into the right turn that leads into the LOOOOOOONG tunnel. A girl's scream echoed through the tunnel. I realized though, I wasn't afraid of this, I was enjoying it! A few turns later after exiting the tunnel, and we are on the 2nd lift. I looked at my mom and sister, and told them I loved the ride. My sister looked back at me and said something that briefly brought the fear back: worst part was yet to come! We reached the top of the 2nd lift, and I saw the 2nd epic view of the entire park, and I wondered why that view wasn't more famous like the one of the 1st drop. 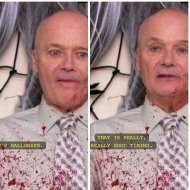 But then the train suddenly turned, and I was staring a tiny hole in the face. Faster, faster, faster, faster, faster...ROAR!!! We were into the helix. It was so loud and chaotic, I wasn't even able to think, much less be scared. Then it happened again! After that though, we left the helix, dropped one last time, and came back up into the brake run. I was a little shook up from the helix, but I thought "that was a bit scary, but very fun, would ride it again". As we exited the ride, I looked up at Vortex, and thought "OK- I can handle roller coasters, and going upside down (Thanks to Crypt)...I guess it is time to try combing them..." I rode Vortex, Diamondback, Flight Deck (now The Bat), The Racer (made up for the scary ride in 2000), and Flight of Fear the same day to truly conquer my fear of roller coasters. Since Son of Beast broke down (I tried to ride it) we decided to ride The Beast again after dark- my friend just assumed it was good at night because of the wooded setting, we didn't know anything about how legendary the night rides were. But we found out, as that night ride on The Beast was my favorite ride of the day. As good as the daytime rides is, the night rides are just something else. Another memorable ride came during Halloween Haunt 2010- it was running very good that night, and it was kinda cool outside, so my friends all lost their voices from screaming the next day. LOL. I have not gotten to too many parks since: in the "Beast Era (2009-Today)" I have only gone to Kings Island, Holiday World, and Cedar Point and have ridden 33 roller coasters at those parks. But I have made many memories at amusement parks, and made lots of friends and rode many other huge roller coasters, and have come to love most of them. I would say I truly got over my coaster fears once and for all in October 2017, when I finally rode Top Thrill Dragster. If I never rode The Beast on May 16th 2009, all of this may not have happened. Looking forward to The Beast's 40th Anniversary season, which will also be my 10th anniversary of said 1st ride ironically. I am excited to see the new retro paint scheme they have on the trains this year, and hopefully 2019 will have many epic day and night rides on this legendary coaster for me. We are planning on trying to come up for passholder preview, and I am aiming to ride The Beast as my first coaster of 2019 because of the anniversaries (40 years of Beast, and 10 years of coasting for me). My favorite Beast memory is from season closing, in my 20s. It was the first Sunday in November. It was already cold. We rode and there was snow in the air and the tunnels screamed like it was nobody’s business. It felt like we were going twice as fast as any other ride. We rode a bunch of stuff that day including FoF, because it was “warm”, but we also went back for another colder snowy ride on The Beast again. Some cool info about The Beast's initial test runs in the latest KIBlog Post! I wasn’t really yet into roller coaster when my dad pushed me to give it a try. I was so nervous but obviously made it through the ride. It was one of my only roller coaster rides with my dad and I will alway remember that. Rainbow Beast is gonna take a bit getting used to. I do like that orange and yellow on PTC stock though. Even though I've been going to the park for over 10 years now, for whatever reason I didn't ride Beast until Diamondback opened. It was still some of the best fun I've ever had, though! When I had a phase in which I didn't enjoy riding coasters but finally wanted to try riding WindSeeker, my mom forced me onto The Beast, and I absolutely loved it! I still have a keychain photo with me and my constipated-looking face (lift hills give me serious anxiety, so the only ride photo where I don't look terrible is Manta at SWO, which I have a ride photo of myself on my desk) coming down the first life hill. Riding Beast eventually got me into riding coasters again like Banshee, Vortex, and Invertigo and I hope to ride Flight of Fear for the first time and reride Diamondback after having enjoyed Mako this past winter. This latest discussion has inspired me to share a 2nd Beast story. This happened to me last year, on a particularly hot day in June. We were at Kings Island, it was about noon-1pm and my friends wanted to ride White Water Canyon. I didn't want to get wet- in spite of the 90 degree temperatures- so I went over to ride The Beast since it was close by. Found a super short station wait, which was awesome (park was crowded but everyone was in the waterpark most of the day so you saw stuff like this in the dry park). I went and got in line and rode in 6-2, the middle of the very last car. The coaster was running great- very fast and not too rough. I get off and decide that was so fun, and since there was next to no wait, I'd ride again. I go back, get in line for the same seat, and go around again no problems. Then I went back and met up with my friends who had ridden WWC only once. Hearing Beast had no wait, we went over and found it had a 10-minute wait now but we waited and then I rode in 2-3. Wheel seat this time, but I figured it would be OK as it was much closer to the front of the train. Nope. Ride was still very fast, but simply changing seats made it ROUGH. My shoulder kept being slammed into the headrest, in particular. I thought I was OK at first when getting off, but a few hours later I rode Banshee and suddenly felt the pain my shoulder start to creep up due to the vest restraints. Ouch. It lasted for 2 days after, too. I'd also had a fairly rough ride on a back wheel seat earlier in the year, but this was worse. I avoided back wheel seats (front wheel is OK but I prefer middle) since on the rest of my 2018 Beast rides. So basically I am cool with riding in one of the back cars on Beast (in fact 6-2 is my favorite seat to ride in), but riding on a back wheel seat has given me some not-so-great memories. I've found that rule applies for the 2 bench PTC stock- ride on the front wheel seat for a better ride, regardless of how far in front or in back. 6-1 on Voyage and Legend are outstanding. I have too many fond memories of Beast to mention, but I’ll focus on three. Last season, I had a ride on an evening when there were distant storms. Although the lightning wasn’t close enough to close the ride, the random flashes of light and rolls of thunder made the ride disorienting and spooky. There was one bright flash that happened just as we exited the last tunnel before the second lift hill. I thought it was just possible I was going to exit the ride at Candlelight Park (like in R.L. Stine’s The Beast books). When I learned The Beast was approaching its 50 millionth rider a few years ago, I rode a lot trying to be the “winner.” One evening, I entered the station and saw Don Helbig milling around on the exit side, so I hurriedly picked an empty row in the middle of the train rather than whichever row I had been planning to wait for (probably 14 or 17). After we were in our seats and checked, they announced the 50 millionth rider was on our train. He was a few rows ahead of me, so I guess I was the 50,000,005th or sixth but we ALL felt like the 50 millionth riders. Everybody was whooping it up during the ride, and continued celebrating on the brake run. It was very special. I’ve been fortunate enough to participate in several tours behind-the-scenes at Beast. 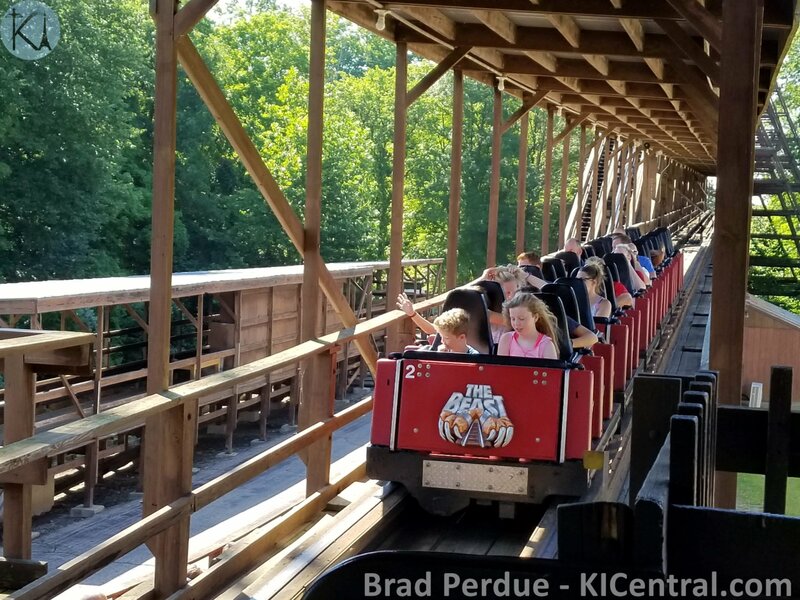 There have been ones at Coasterstock, ones scheduled through Twitter or Snapchat, and ones from the KI Blog. One in May 2015 is the most special to me for two things that stood out: my husband, who doesn’t get to visit the park very often, was there too, and it is the only time I’ve gotten inside the helix. It happened that day that the group who showed for the weekday tour was fairly small, and the weather had been pleasant enough leading up to the day that there was not much mud. It was amazing just to be inside the helix but we also were allowed to stay and photograph while a train or two went through. Bring on the romantics! I'm assuming you aren't a huge fan of the ride. This is the first I've seen this picture of you! Super cute! I think the first time I rode The Beast was in 1981 or 1982; I rode The Beastie in 1980 and it scared me to death, but I managed to ride The Racer the same day. But since my first ride, it has always been a favorite, even as a non-enthusiast. The Beast and Kings Island are responsible for me becoming obsessed. Mid-May 2014, a friend and I visited. We usually went once a year, but had skipped a few years because we went on a Saturday Haunt--not knowing the ins and outs back then, we were disgusted and vowed to never go again because of the experience. We got two-day tickets at Kroger, planned our days. The first day, it was cold, damp and rainy. Many of the things we did, we literally were the only people on the ride/attraction/eatery. And the associates were stellar. I knew they had to be cold, wet and miserable, but they smiled and genuinely seemed like they wanted us to have a good time. This was when every transaction was completed with "Have a FUN day!" My friend doesn't ride The Beast, so I got introduced to solo riding, and rerides....and rerides....and rerides...I think I rode 15 times that day! The next day was a little warmer and less damp, but several buses were in the parking lot for field trips. We went for a few hours, then she introduced me to Jungle Jims, we went to IKEA and a late lunch at Olive Garden and parted ways. She lives in Dayton, I live in Kentucky, so I decided to go back to the park! I rode The Beast several more times that day. I upgraded my ticket to a Gold Pass and got a dining plan. I haven't looked back since then. Riding The Beast several times in a row hooked me. My friend and I still go at least once a year; but we try to do Haunt on a Friday night. This year, we did New Years Eve at WinterFest and had a blast. She is a Disney gal and she said WinterFest was on par with her Disney holiday experience. The Beast was the first "big" coaster I ever rode. For a couple years prior to that day I could never get myself to ride any of the big roller coasters. For some reason that day, I "forced" myself to ride it. Once I hit the second lift hill, I was completely speechless. I immediately knew once I got off that ride, that I'm going to be addicted to roller coasters. It's funny when I went to get right back in line, they had just shut down operations due to incoming rain. My second ride was right after the storm passed, and it was absolutely flying on the track. It was so intense, especially it being my second ride ever. The Beast was one of the big coasters I tried in 2008 (when I was still rather wary of them), and only my second big wooden coaster (first was Blue Racer). I remember my first ride on July 4, 2008, and zipping through the woods at 65 mph even in the middle of the day scared me! I rode it because a ride on The Beast was regarded as a huge accomplishment among my elementary school classmates (I was in third, going into fourth grade at the time of my first ride). Two years would pass before my next Beast ride on August 17, 2010, not long after my first rides on Diamondback and Vortex eliminated my fears, and needless to say I enjoyed it a lot more. 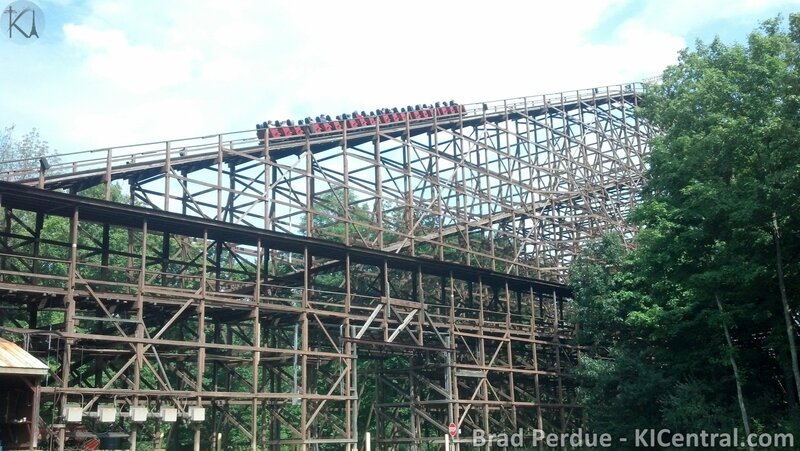 My first night ride on The Beast was on July 11, 2013, after watching the fireworks through the trees from the switchbacks. I found out for myself why The Beast is famous for its night rides. However, I still rode The Beast sporadically until last year, when it started growing on me. Not only did I find myself riding it more often when lines were short, I experienced my first rain ride on June 12, 2018, a smattering of night rides in 2017 and 2018, and my favorite ride to date (which happened on October 19, 2018) which had both night and rain! I have grown to really enjoy The Beast at night and/or when it's raining. I cannot accurately describe the feeling of speeding past trees on all sides at 65 mph under the cover of darkness and/or while being pelted with rain needles drops, and I don't think anyone can. My favorite parts of the ride are from the second tunnel to the second lift and the shallow drop into the double helix from the second lift! At night, the ride always seems to haul through these parts (and perhaps the whole ride) which adds to the already exhilarating experience. Happy 40th Anniversary to one of my first big coasters, The Beast! Though not all of my Kings Island trips include a Beast ride, I agree that it definitely deserves its recognition and fame, and I'll surely consider hopping on over for a spin after dark or during/after a rain shower! I photoshopped this photo from the 2017 coaster stock. I felt like I had to since when our group was allowed to take pictures, it was getting ready to rain. But since I graduated from Stark State College with my associates degree in computer graphic design, I feel like I can accomplish anything now. My first memories of The Beast were when my parents would leave my brothers and I with my aunt while they followed the pawprints. I was certain every year that I would never see them again as they left. Sadly, as many do, our traditional annual extended family trips to KI died out in the early 2000s before I had conquered my fear of coasters. (Up to this point I had only ridden the then Beastie and FoF when my cousin lied to me and told me FoF wasn't a coaster until we were sitting in the train...it would take 11 years after that before I got on a coaster again). The ride held an almost mythical place in my mind all those years. What exactly was back in those woods anyway? My first ride wasn't until 2009. I had conquered my fear of coasters but this was my first time back at KI since. It was near the back of the train and it was incredible. The sensation of speed, the spectacular setting, that helix. It was an experience I won't forget. Any chance we see a return of the pawprints this year? That would be cool! Forgot all about the ! I first rode The Beast with my dad in the summer of 2000 just before I turned 9. 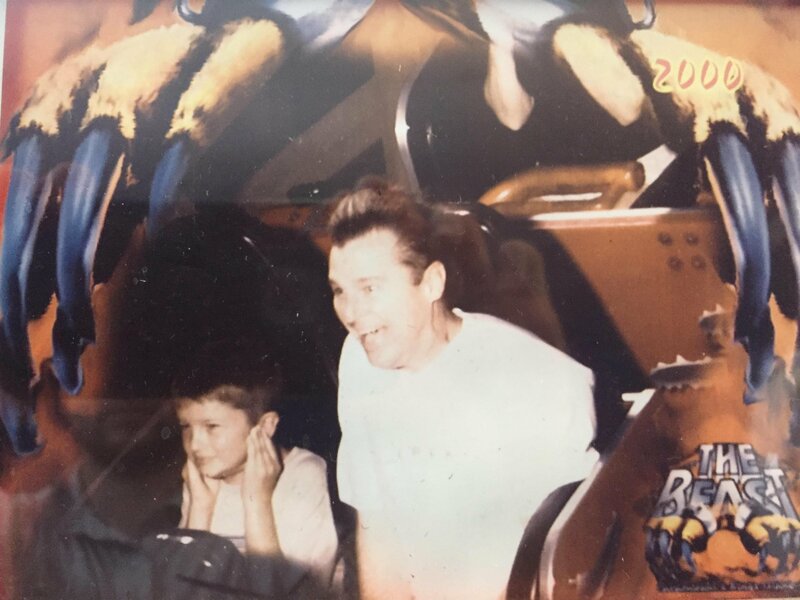 I even still have the on-ride photo. =) Even with Racer already underneath my belt, I was so nervous since that first lift was so high (at the time) and I practically had no idea what was out there. 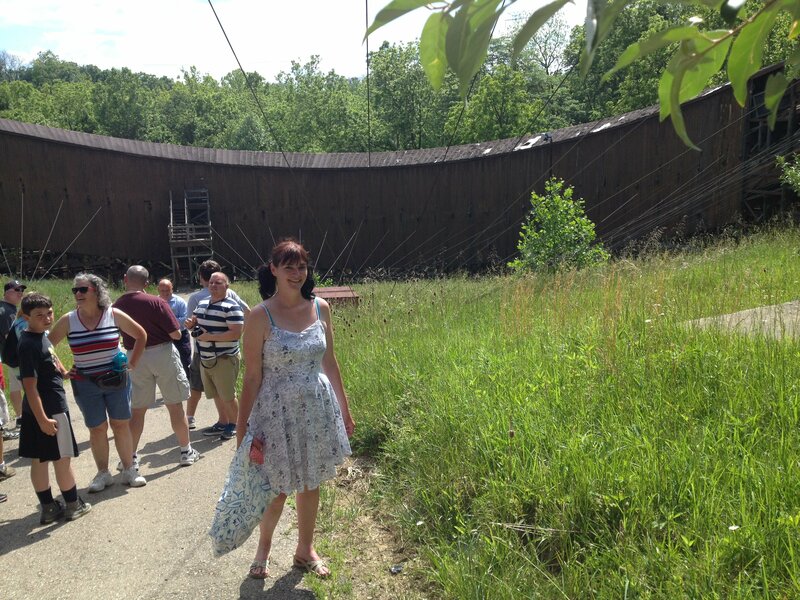 What always makes me laugh is seeing my apprehensive self cover my ears in anticipation for the tunnel (I had really sensitive hearing at the time and loud tunnels scared the crap out of me). The drop into the double helix was especially terrifying, but by the time we hit the final brakes, I was in love. My family had been visiting Kings Island every summer at least since maybe '97. For a long time I was really just a kid who was obsessed with theme parks and roller coasters in typical child like fashion, but The Beast was probably the coaster that turned me into a true enthusiast. From that first ride, it went from an obsession to a lifestyle. 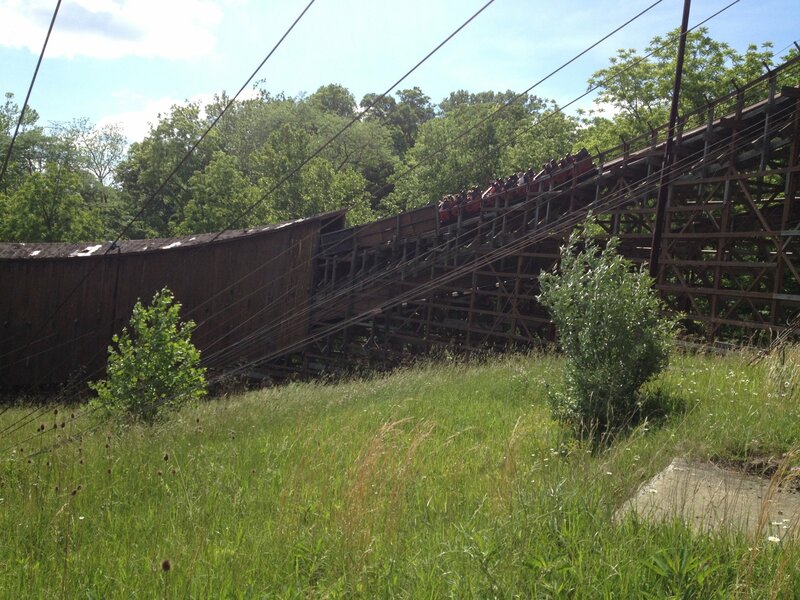 If I were to guess, I probably have more rides on The Beast than any other coaster at Kings Island. It's a really, really special milestone coaster for me. Also, I've posted this link once before somewhere on this website, but here's a review I wrote two years ago showing my full thoughts on The Beast and why it's so special. I cant think of my first memories on The Beast (I use to not like coasters at all in my childhood until 2009). I rode The Beast for the first time in 1996 when I was 9 years old. I was scared of Roller Coasters to that point. I decided I was going to conquer my fears with, at the time, Outer Limits: Flight of Fear. After waiting 2.5 hours for it and seeing the train come back to the station empty, I nearly chickened out, but I sat in it and the rest is history. First of all— Id like to say how much I love reading everyone’s posts! Seeing people who appreciate The Beast like I do is awesome. Living only 30 minutes away from the park, I’ve had the pleasure of spending every childhood summer of my existence there ( now- I babysit an awesome family who all has gold passes as well, so I get to spend my summers there still giving them the childhood I had!) anyways, having had a gold pass for the past 10 years or so, I’ve ridden every ride in the park countless times. I can thank my Dad for pushing me to ride coasters (he shares the same love I have for them) when I was younger because I was too scared. Somewhere in the transition, The Beast got overlooked. I think I rode FOF before The Beast and then thought I was so cool I could only go “bigger” on rides.. lol. Anyway, it wasn’t until I was in about 7th grade, and a group of kids and I went to “fearfest” (it was called that back then— and being 30 min away from KI, it was a big deal at my school). Anyway, I rode it for the first time, on a spooky October NIGHT. I was speechless after that first hill. I remember looking out into the woods when you level out after the first hill and go under the covering, seeing all the fog from fear fest through the trees and being truly scared! It was an experience I will never forget. A night ride on The Beast is one of my top 10 favorite things ever. As big as KI coasters will become, The Beast will always be my favorite!